2952 Donita Dr #2952, Vestavia Hills, AL.| MLS# 837439 | Richard Jacks UABLIVING.com 205-910-2297 | Birmingham AL Real Estate | Contact us to request more information about our Homes for Sale in the Birmingham AL area. Brick and cedar siding condo in the desirable Cahaba Heights area. Home is move in ready with gorgeous original hardwoods, updated kitchen with some stainless steel appliances, some updated light fixtures and new interior paint. The refrigerator, stove, microwave, hot water heater and heat pump were replaced around 2013. This condo also boasts remote controlled ceiling fans in the bedrooms and Larson retractable screen storm doors on front and kitchen doors. Need extra space? The full unfinished basement is a clean slate - ready for you to create whatever you wish! Come make this your new home and relax on the front porch or hang out in the large backyard. 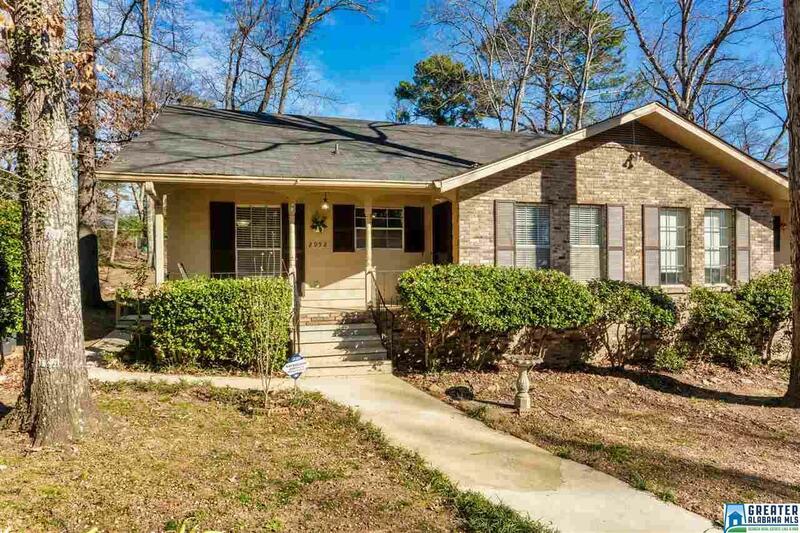 Where else can you get this much space for this much money in Cahaba Heights. Call for your preview today! Driving Directions: I459, Exit 19 For 280 Toward Mountain Brook, Merge Onto 280 W, Right Onto Dolly Ridge Rd, Left Onto Green Valley Rd, Right Onto Christopher Dr, Left Onto Donita Drive, Home On Right.